The newly launched Android by the Google has become the topic of discussion for both good and bad reasons. The Android Oreo is creating commotions all across the globe. As it is still limited to Google Owned smartphones and very few others flagship mobiles, hence being awaited very anxiously. People are curious and full of eagerness to get hands on this latest Android version. But, some reports emerging from the different corners of this planet suggest that the current users of Oreo are not that much excited after getting it. 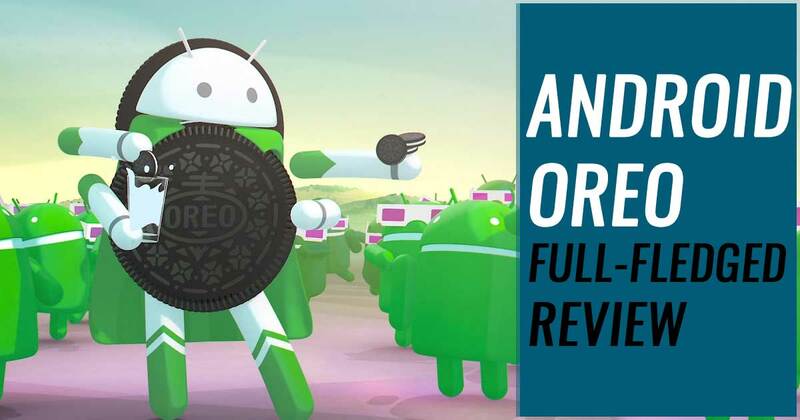 Here, we are going to introspect all the pros and cons of Android Oreo OS because it will help the users of Android to analyze all factors properly. Amaze the Android Oreo with rapid Boot Times which generally harmonizes in relation to hardware and now utilized by all smartphones that run the Software. The feature is presently restricted to the Pixel lineup but the improvement can be seen appropriately when a reboot is required to make the process quick. 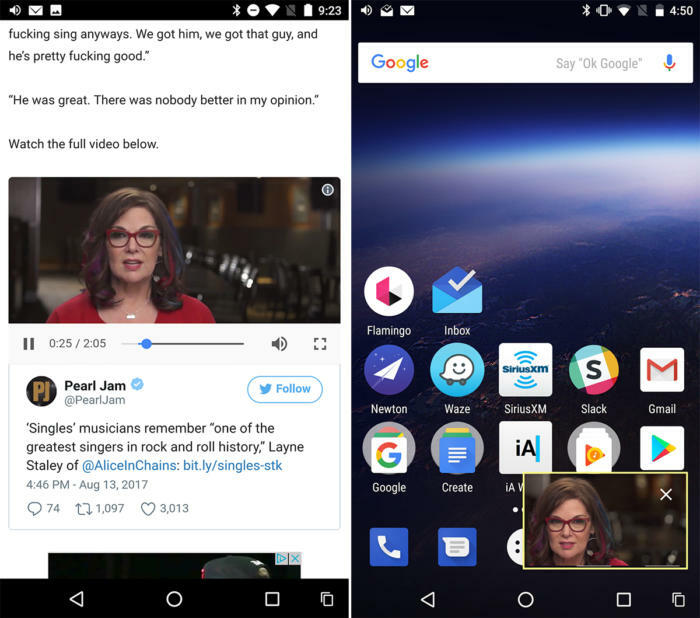 Where split-window mode originated in Android Nougat is quite a helpful update, the same time PiP mode is very interesting as now you can miniaturize a YouTube video feed or Duo or a video call on Hangouts into the corner of your smartphone’s screen and consecutively complete the other tasks also. It is a somewhat advanced mode to split-window feature because it makes the video related tasks more convenient which is not the case in split-window mode. This power saving mode becomes handy at the time of battery downtime. It just restricts the background activities by de-prioritizing app functions sprinting in the background so that the battery can last longer comparatively. The new Android Oreo is upgraded to pair with Doze functions that help in saving the battery prudentially. With Android Oreo, now it becomes facile to directly copy the address from the mail to the Google Maps or separate the phone number with highlighted text and direct pop dialer option. By utilizing the machine learning capability, the OS works smartly in recognizing which app is best suited for the string of characters you are currently operating with. 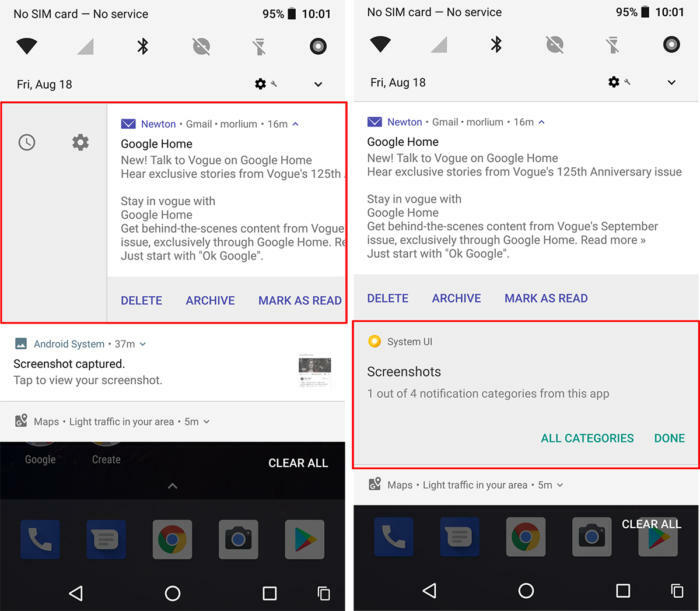 For the oldies and third-party launchers, the new feature takes attention at a glimpse to notification bubble to app icons on the home screen. Unlike iOS, new Android Oreo Doesn’t reveal the number of pending alerts in the app but at least direct your attention to something important. The audio quality in Android is going to amplify with native support for LDAC which is Sony’s hi-res Bluetooth audio codec. With the enhancement in the audio performance, this is going to be the best choice for the buyers holding out to purchase the wireless headphones. Google is ready with strict design provisions for developers to stick so that it will assist to make an integrated visual design among various apps. Besides, these new icons will visually look more interactive based on engagement. Although the effective icons have not rolled out yet, you can expect it in the next Android 8 update. A new easter egg mini-game is here to wash out your leisure time. In Oreo, clicking and holding on the OS’ logo carries you to a secret, and blank screen with an octopus on it. This game is very basic and not looking a game at all. You can drag the octopus in all directions of the mobile screen, observing the legs as it flops all over. 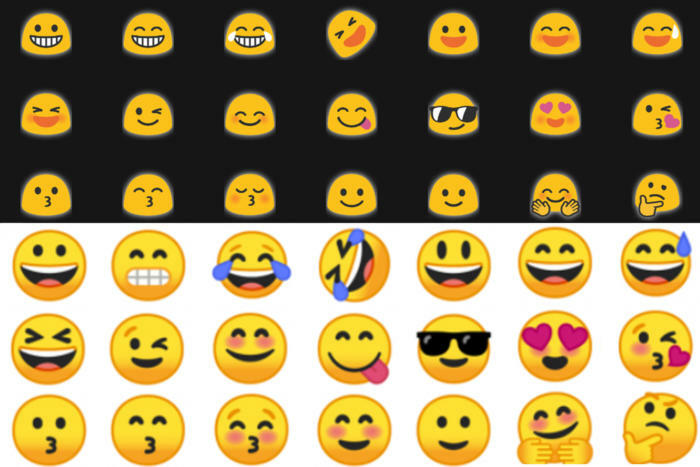 Google is ostracizing the gumdrop emoji style from the version and rolling out rounder face icons for Android Oreo. Besides, you will be delightful seeing new additives in emoji such as fairy, mermaid, starstruck, throwing up, wizard, and giraffe. Is it possible to install Android Oreo update on my smartphone? When will it come to non-google phones? Other manufacturers are also in line to deliver Oreo update and working with Google to deliver it by the end of this year. The lineup includes Sony, Samsung, Huawei, Essential, HTC, LG, Motorola, OnePlus, and Nokia. 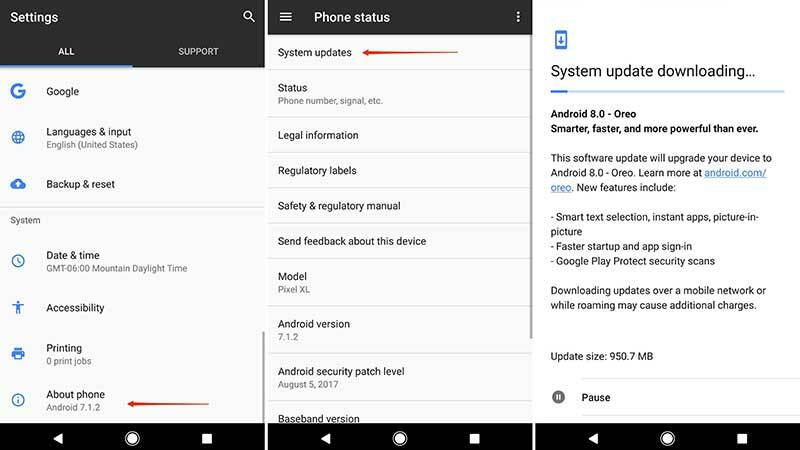 How to get Android Oreo update on supported phones? As the Android Oreo update is available on your device, you will be notified stating a pending system update. All you need is to tap the notification and you will be directed to the Settings app where you are able to download and install the new update. Will Project Treble assist in getting updates faster? Project Treble helps the manufacturer to provide updates on time and is a basis for future updates than present attributes. So, probably Galaxy S and LG G phones will not require waiting for long for the latest Android Oreo update. Is it necessary to unenroll from the beta program first? It is not required to unenroll from beta first to get Android Oreo update. Once you get the Android update without unenrolling from beta program, your phone will continue to say that you are enrolled for the beta but still you will run it successfully like everyone else. In case of getting new betas for Android 8, you will still able to get them first as well. For Nexus 6P, Pixel XL, Nexus 5X, Pixel, Pixel 2 XL and Pixel 2 users, it is easy to give feedback about the problems they are facing with Android Oreo. The company has tried to resolve the issues with November update but the new updates came with some solutions and problems as well. Although, some problems are situated with few users only and some are resolved, still it is necessary to know the problems being faced by users with new Android 8.0 Oreo update. As every software is not going to impact your device similarly so it is important to backup your important files and be safe than sorry later. The new Android Oreo update is available to install manually and some users are facing problems while attempting to sideload the software on a Pixel or Nexus smartphones. Installation troubles are just the outer point considering other problems with Oreo update. Furthermore, the issues like UI lag, weird battery drain, Bluetooth issues, freezes, issues with calls, various issues with sound, device recognition problems, camera problems, unlock problems, fingerprint issues, random reboots, issues with the new Picture-in-Picture feature, Enterprise problems, and many other problems are reported by the users of new Android Oreo update. Although, some issue are brought over from the last version of Android 8.0, some are just the latest. So, this is the overall review of new Android Oreo update to make users aware of the features, problems and basic points.